How do you get the most out of your team meetings? If you are a business leader, chances are that you plan team meetings at regular intervals to keep your team informed, engaged, and motivated. Meetings can be a great way to pass along necessary information and keep your team up to speed on changes on the horizon for your business. You have probably noticed that team members are sometimes engaged, while other times they seem to be drifting off into space while you speak. 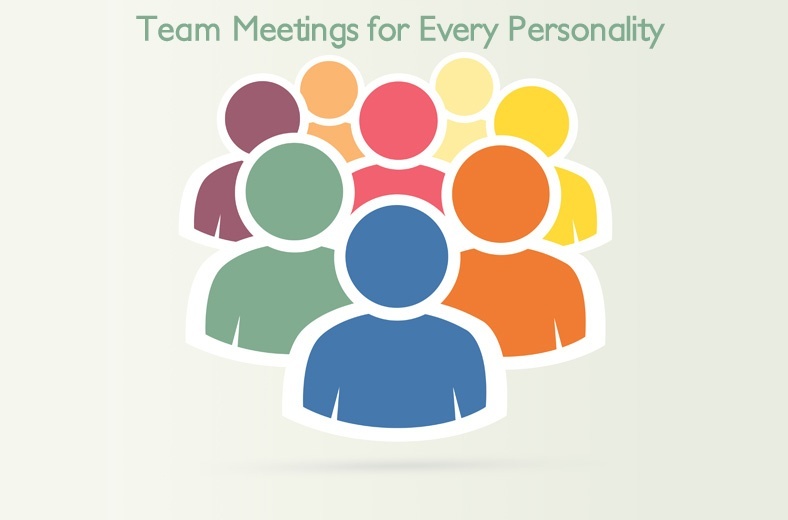 You can make team meetings more engaging for everyone by appealing to their DISC personality profiles with your meeting content. Through your discovery of DISC, you have learned that everyone engages differently and learns through varying methods: verbal, visual, written, and by doing. 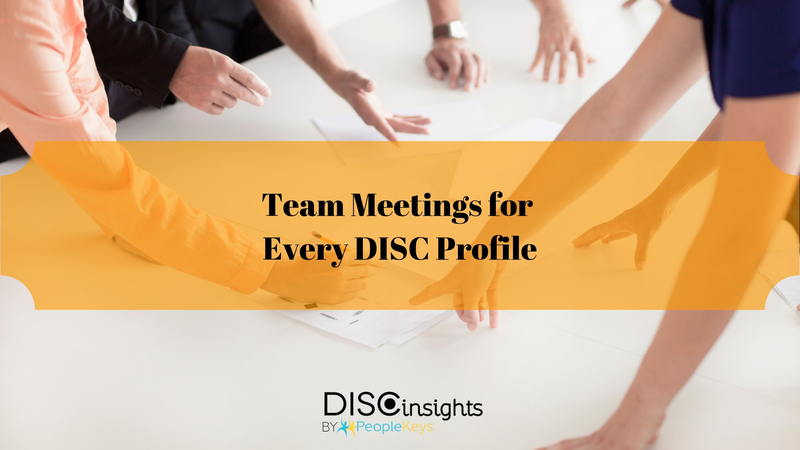 Once you have determined the DISC styles of your team, you can use this information to make meetings more productive. D Personality – When engaging a D personality type, they prefer information that is to the point and without embellishment. At team meetings, you can summarize information in short, powerful, factual bursts to keep your Ds interested. They will likely commit this information to memory on the spot, or you will see them diligently recording it for future reference. I Personality – When engaging an I personality in a meeting, you might consider using colorful, creative Powerpoint presentations or by illustrating the facts on a whiteboard. A vibrant visual demonstration will help them learn new facts quickly. You get extra points for an interactive handout that engages their creative spirit. C Personality – A C personality type needs all of the information necessary to understand what you are asking of them. Be prepared to tell them the why, when, and where of what you expect. They will provide you with the “how” once they conceptualize the process. Having a fact sheet or references will make your Cs more comfortable. Leave time for questions. S Personality – When engaging an S, make sure you ask what will help them complete their projects and tasks. An S personality type may not feel comfortable making requests in a group setting unless called upon and given floor time. Their dedication will increase if you make their voice heard. Be sure to show appreciation for a job well done. Every DISC likes to feel what they do is a valuable part of your success!